We are often asked "Where do you walk, and how far?" Well, here are the answers. The map below shows the locations of the start points of our walks in Summer 2019. Hover over or click on the dots for the name of the walk and zoom in or pan for more detail. Blue dots are Evening Strolls. The map below display the tracks of many of our routes (up to May 2018) and you can see most are within easy reach of the Vale of Belvoir as well as many in the Peak District (see Peak District Weekends for more details). Notes for editors. The image above is a screen scan of a page from GPS Track Editor ( www.gpstrackeditor.com ) which has the unusual property of being able to display multiple tracks or routes on top of OpenStreetMap maps. 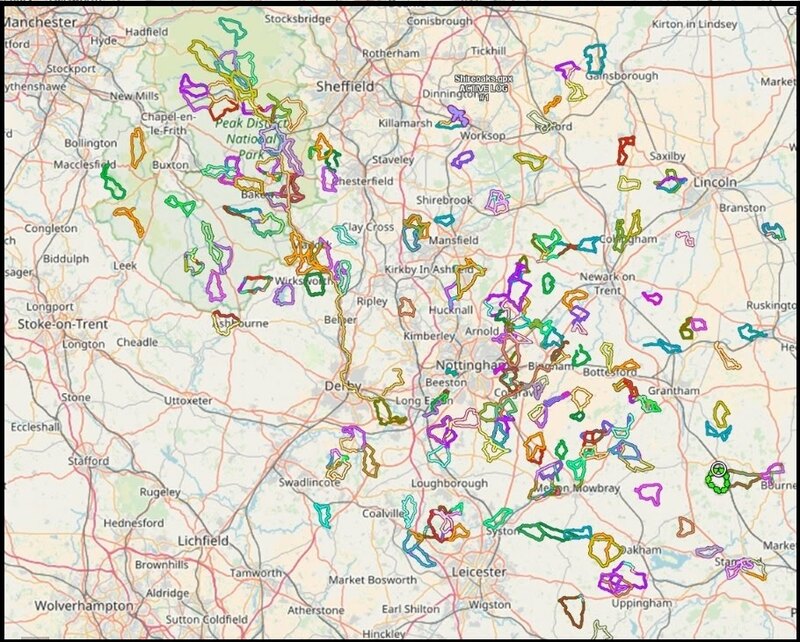 Tracks have been uploaded as .gpx files from GPS devices and routes have been created in OS Maps (https://osmaps.ordnancesurvey.co.uk/ ) and downloaded as .gpx files. Our walks in the Winter are usually between 6 and 12 miles as shown below but in the Summer we also have mid-week Evening Strolls which are shorter. 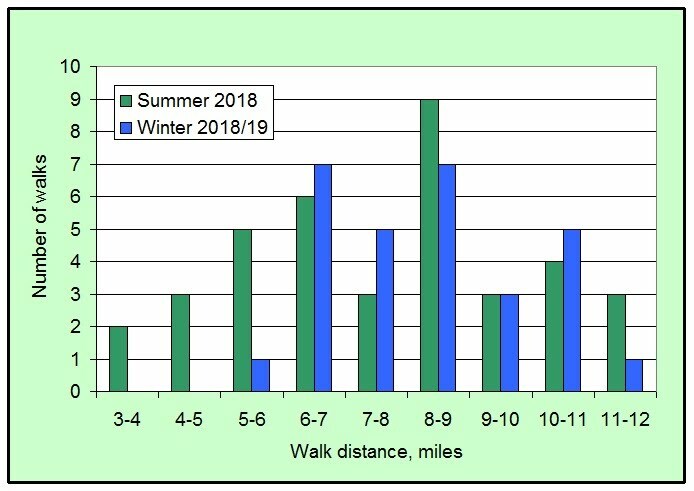 This chart shows how many recent walks fit into the various distance categories.